Get more out of your money. When you bank with Directions you can turn your everyday purchases into rewarding experiences. Directions Credit Union offers its personal checking account holders two great rewards programs. Account holders can earn points to use toward merchandise, travel and more with our VISA ScoreCard™, and with Buzz Points™ account holders are able to redeem points for gift cards from participating local merchants. Use your Directions VISA debit card with ScoreCard™ to earn points redeemable for merchandise, gift cards and travel. Directions Credit Union offers four types of personal checking accounts each of which offers a VISA debit card with ScoreCard™. When you make a qualifying* purchase from your checking account using your VISA debit card, you’ll earn ScoreCard™ points. *Qualifying purchases, such as groceries, clothes and home furnishings, gas, restaurant dining, and much more earn you points. No points are earned for fees, cash advances, currency conversion charges, ATM withdrawals, or insurance charges posted to your account. To combine your VISA ScoreCard™ Rewards Points, please visit this page. *Qualifying purchases such as groceries, clothes and home furnishings, gas, restaurant dining, and much more earn you points. No points are earned for fees, foreign transactions, cash advances, currency conversion charges, ATM withdrawals, or insurance charges posted to your account. Buzz Points™ is a free feature built into your checking account. You can sign up for Buzz Points™ and start earning points for your Directions Credit Union Debit Card purchases and your Directions financial activities immediately. Buzz Points™ can be redeemed for gift cards from participating local merchants. For the month of June, make 8 more purchases for 500 points! ALL purchases count toward your Sweeten Your Summer Challenge, no matter where you shop or how much you spend. Track your progress all month long via email and your Buzz Points account. Start your summer off right with sweet rewards from Buzz Points! 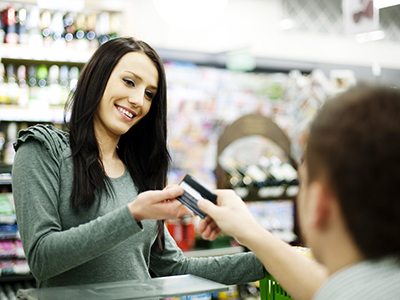 Buzz Points™ rewards you for making your everyday purchases with your Directions debit card. The program recognizes three classes or merchants: Recommended, Local and National. When you choose a locally owned business over a national chain, you earn more points. And when you choose a Recommended merchant, you’ll earn even better rewards. See participating merchants near you. Buzz Points™ is fast, free and simple. Just sign up with your Directions debit card to get started. When you partner with Directions, you receive targeted promotions to Directions members as well as other consumers. Directions makes it easy to reward your customers with Buzz Points™ — we take care of the promotion and management of the program. For further information on becoming a Buzz Points™ merchant, simply contact Buzz Points at 877-577-BUZZ (2899). Why do I need a checking account?